A few summers ago I ran into my first crush. I was in our little town grocery in Maine when, suddenly, I hear my mom squeal with delight. An old friend, a boy we hadn’t seen in years. He looked just the same and when our eyes met, I was immediately transported to the summers of my youth spent nursing a not-so-secret crush. Subtlety has never been a strength of mine. The flashbacks started in. Memories of splashing about in the ocean together, a fuzzy recollection of a piggy-back ride that ended with us piled in a tangle of legs and arms on the sand-coated grass. I remember my brother and I would sneak over to meet him at his grandparents’ house to eat bowls of blueberry ice cream. His tan skin, and bright blond hair, those blue eyes – he was and IS still a knockout. With each passing summer, the crush intensified. But I never got my chance…. In an odd and cruel plot twist to this romantic fantasy, it turns out my blue-eyed childhood crush is actually my blue-eyed COUSIN. My puppy love was dashed; but, one love remained – the blueberry ice cream from his grandparents’ house. The flavor has stuck with me all these years. This ice cream is crazy creamy with just the right level of sweetness. 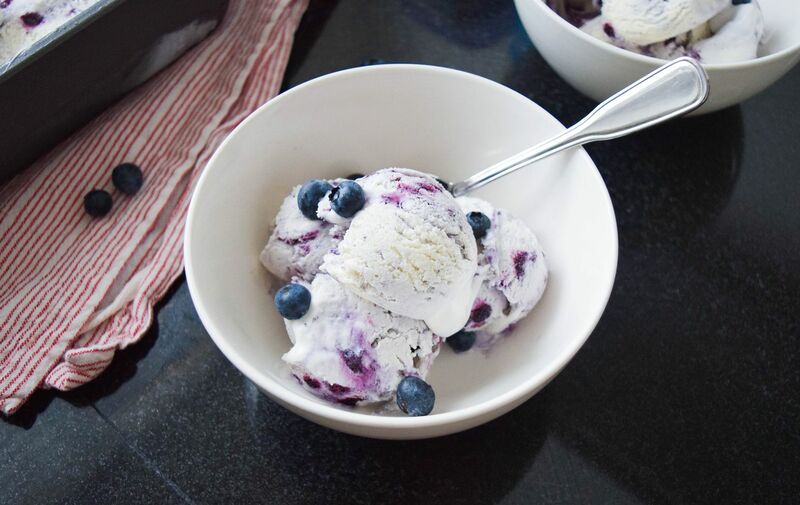 The blueberries are cooked into a jam-like consistency before they are added to a velvety vanilla ice cream base. It screams summer, it screams Maine, it cushions the blow of finding out you were in love with your cousin. Place the blueberries, lemon juice and sugar in a small sauce pan. Cook for 8 – 10 minutes over medium-low heat while stirring occasionally. Once the blueberries are thick and jam-like, remove from the heat and set aside to cool completely. 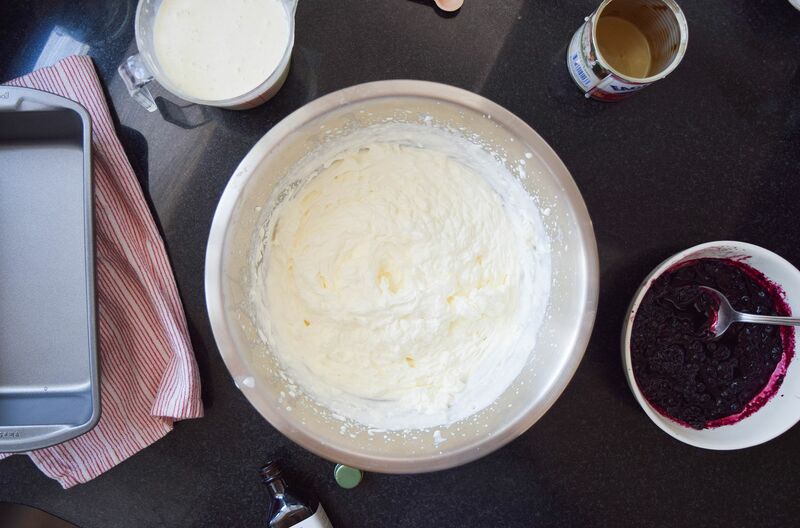 To make the vanilla base, beat the heavy whipping cream in a large bowl until it holds stiff peaks. In another bowl, whisk together the whole milk, sweetened condensed milk, and vanilla. Fold the whole milk mixture into the whipped cream gently. Be careful not to deflate the whipped cream. 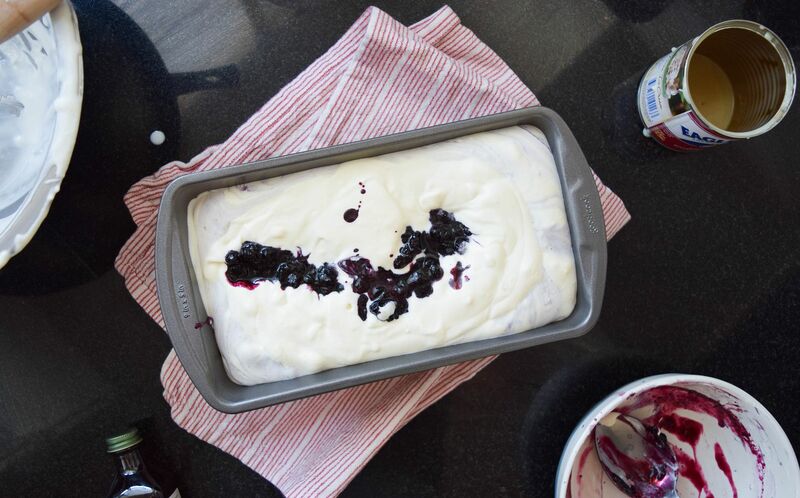 Layer the vanilla base and blueberry mixture into a loaf pan in alternating additions. Run a knife back and forth through the mixture to swirl it. Wrap the pan in plastic wrap and place in the freezer overnight. 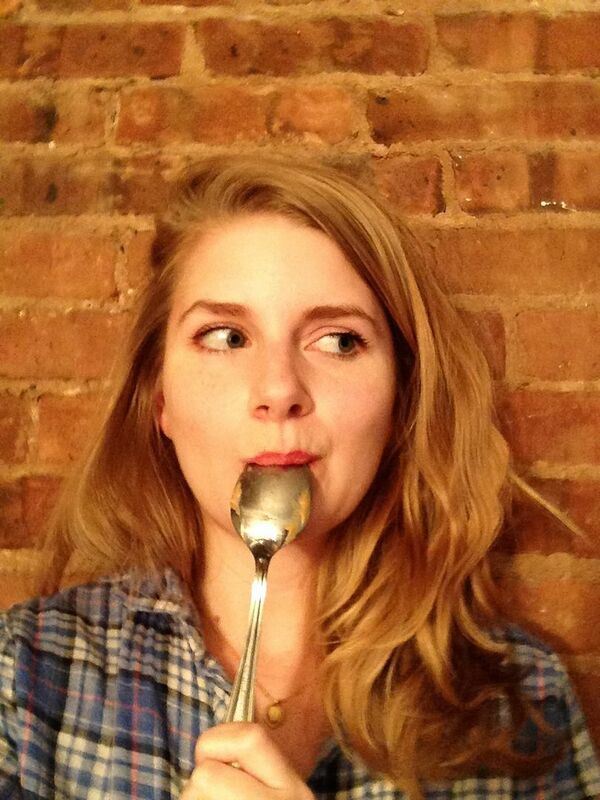 Take the ice cream out to soften for five minutes before you are ready to serve. Enjoy!